The reason I love the music magazine Mojo is because reading even just one issue allows me to be a mini expert on a wide spectrum of sounds and the people who make them. They are one of the few magazines I enjoy from cover to cover, even the the topics I didn't think I cared about because 99% of the time their staff finds a way to lure me in and make me appreciate whatever it is they are writing about. I think when I began my radio show Cause & Effect I wanted to create a two hour event any listener could tune in to and walk away from maybe still not loving whoever the artist of the week is but at least own a deeper understanding of how interrelated all music is and find at least a few things their ears are for the better being exposed to. By having a radio show on Thursday, I am blessed (or cursed depending on how you look at it) to have to create something for Thanksgiving listeners, ideally something to help relieve the stress of what was probably a family filled day and a little bit of driving. 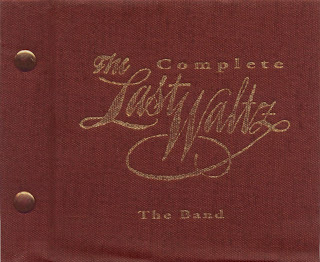 This year my friend Otis pitched the idea of doing a show based on The Band's Last Waltz which at the time was announced to be their final live show to be played on Thanksgiving Day in 1976 at Winterland Ballroom in San Francisco. It sounded like a PERFECT idea for a show however the only catch was I had never listened to that performance before nor had I seem the legendary Scorsese film documenting the event either. Needless to say I have spent the past two weeks doing a lot of homework to get myself up to speed. It wouldn't be far from the truth to say that I am not a fan of The Band however the one thing I have learned from doing the show for a few years is that there is always something amazing and interesting to pull away from putting together any radio show and this is no exception. Legally I can't play more than a handful of tracks from any one release during my two hours on air so I decided to recreate the live show set list (not the edited down film version) using original versions or alternate versions of the songs The Band and their ridiculously star studded event performed that evening. I learned all sorts of fun facts about this event (many of which are what rock and roll tales of drugs and ego are made of) but what I wasn't expecting to learn was that The Last Waltz was The Band's very own very of Cause & Effect. For more than 5 hours the band performed music of their own while sprinkling in covers of the songs that inspired them as artists along side their peers, many of whom they befriended during their epic career. The special guests that evening included Paul Butterfield, Eric Clapton, Neil Diamond, Bob Dylan, Emmylou Harris, Ronnie Hawkins, Dr. John, Joni Mitchell, Van Morrison, Ringo Starr, Muddy Waters, Ronnie Wood and Neil Young. And even more remarkably, the audience paid a mere $25 to witness this event never knowing who any of the special guests were AND from 5 to 9 were fed a turkey dinner while a big band performed. I still can't wrap my head around what it was like to sit down to a Thanksgiving Feast with 4999 other people and then watch a band you love be joined by a new super star artist every few songs...never knowing what surprise musical guest was just around the corner. The Last Waltz as a concert is unbelievably special and what makes this all the more historic is the fact that one of the most famous American directors filmed the event. Martin Scorsese created what many believe to be one of the best music films of all time but I am a music nerd, not a film nerd so I will not spend time writing about the film. 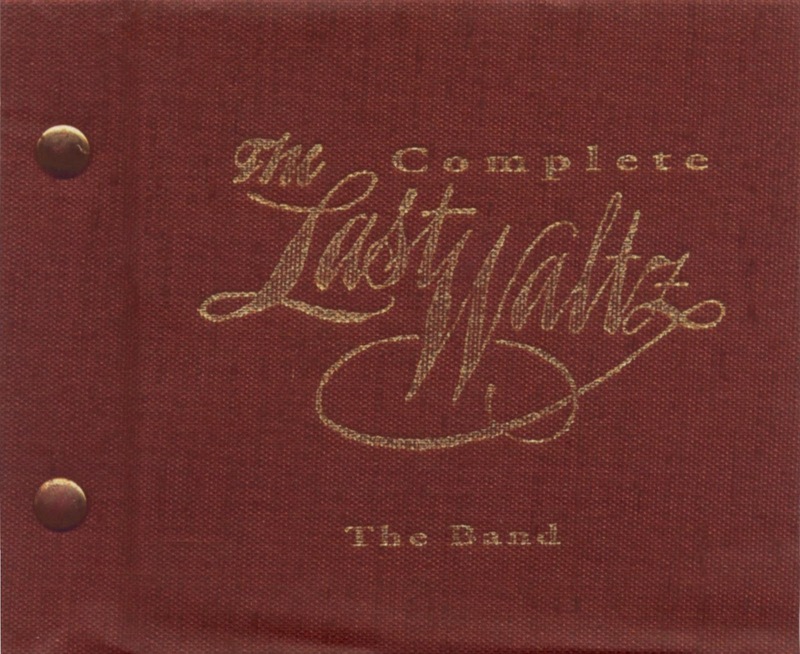 You will have to tune in tonight to WRIR (97.3 fm on the dial for locals or stream live at www.wrir.org) from 7PM to 9PM to hear two hours of The Last Waltz recreated for your listening pleasure with a ton of interesting tid bits about this slice of rock and roll history. Maybe you are like me and never thought much about The Band before but once you hear the list of music they were both influenced by and inspired after the fact, you too will have a new appreciation for their catalog of classics. A big thank you to Otis for all his help, I couldn't have completed this special show without him!